Confession, so when I started hearing all the hype about Instant Pots, I immediately bought one, darn that Amazon Prime subscription making it to easy for me to impulse buy. I did however leave it sitting in the box for about 6 months. You see I really hate reading directions and this instant pot seems like the directions are no joke and non negotiable, thus the reason for the onset delay of opening my box. Alas, the day has come when the weather turned cold and a friend of mine convinced me that I shouldn’t wait another week go by without trying out my instant pot. This was the week, I made three 2 recipes using this new contraption, White Bean Chicken Soup, Cochinita Pibil, essentially a pulled pork. Cochinita Pibil is a braised pork found in the Yucatan in Mexico. It’s a type of barbacoa since it is typically wrapped in banana leaves and cooked underground. The major flavor profiles of this dish is orange juice, lime juice, and achiote. I typically make this dish in a crockpot or in a dutch oven and it take a few hours but comes out great, I adapted it to cook in an Instant Pot and took less time and tasted great. You can drain this shredded pork and serve in corn tortillas like tacos or spoon over rice and beans for a hearty bowl. 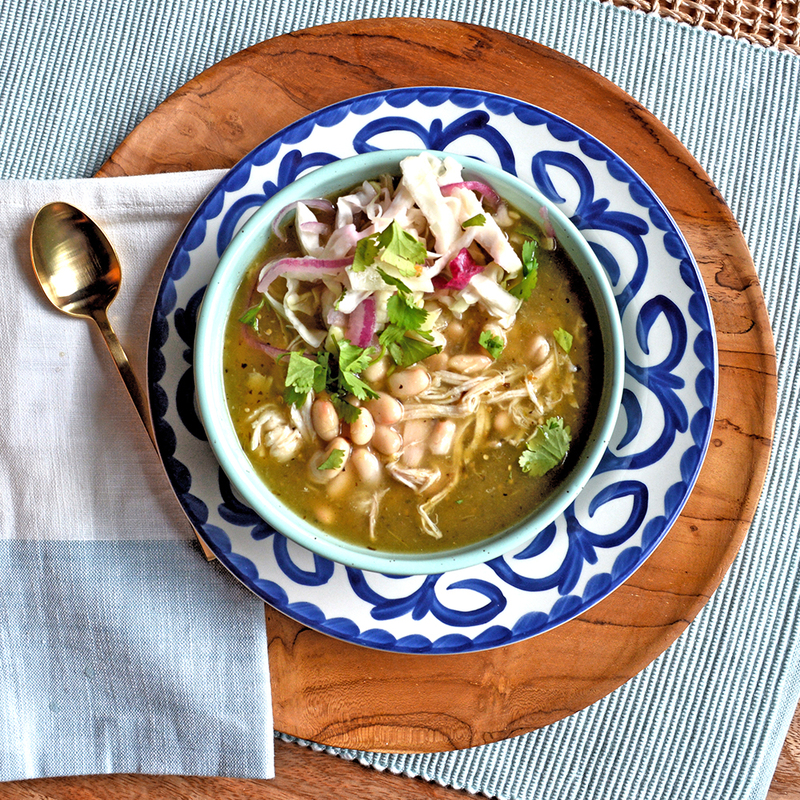 For the white bean chicken chili, I was surprised just how easy and healthy this recipe was. I unboxed by Instant Pot, read the directions very carefully, and even watched a few you tube videos(which were not very helpful, but more on that later). Kale, honestly I had some in my refrigerator and I didn’t want it to go to waste, so use it if you like but it’s not a must. 1/2 cup of Diced Onions, if you don’t have any on hand don’t worry about it, the Tomatillo Sauce has some in it. I made sure to put all of my ingredients in the instant pot, making sure to keep the vent to the sealed position. I didn’t chop up the chicken prior to putting it in there, I shredded it after cooking. I closed the lid making sure it was sealed and hit the poultry button. It cooked for approx 15 minutes but then I read that if what you’re making is fairly soupy then your best bet is to use the natural release on the the vent, so all in all it take about 1 hour, I’m experimenting some more with this natural release vent so I’ll keep you up to date on that as well. I will say that if you don’t have an instant pot you can simmer all the ingredients in a stock pot for about 45 minutes and it is virtually the same thing. Definitely read the directions bc that steam valve is no joke, you don’t want to play around with that. I thought that this thing would be cooking my foods in a few minutes, it does take some time for the pressure to release. I’m a big You Tube fan when it comes to receiving directions, but I didn’t find any super helpful tutorials, so HELP, if you know any helpful video links please leave in the comments below. Also, let me know what’s your favorite thing to cook in your instant pot or crock pot, do you prefer one over the other?